Caterline offers a nationwide service, covering brand new catering equipment or refurbished equipment to suit all budgets. The list of products supplied and installed is extensive and includes Cookers, Fryers, Chargrills, Wallgrills, plus many other appliances including Fridges, Freezers, Micro Waves, Water Boilers, Dishwashers and many more. As a leading supplier of catering equipment, we supply all the top brands such as Falcon, Rational, Parry, Williams, Fosters, Gram, Lincat, Merrychef, Hobart etc and over the years we have built an excellent reputation for being a reliable and extensive supplier of catering equipment. 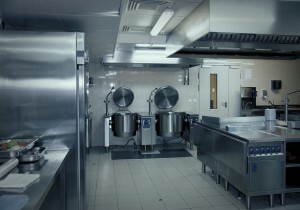 Selecting the best catering equipment for your commercial kitchen is an important task. Getting the balance right between quality, price, suitability and life expectancy are key to the quality of your service and also your profitability. Whether you need a single item or a wide array of kitchen equipment, Caterline can help you make the right choice and provide you with equipment that fits in with your needs and your budget. All the products that we supply have been rigorously tested and analysed for their reliability so you can be rest assured that they are fit for purpose and of high quality. We can deliver throughout the UK so if you need any help with selecting your kitchen equipment then please do not hesitate to contact us on 01384 459111 and speak to one of our friendly and helpful team.